These were my friend’s exact words upon hearing my intention to venture to the People’s Republic of China. On my part, it was mostly in the spur of the moment, wanting to escape the Singapore heat and head off to somewhere cold. 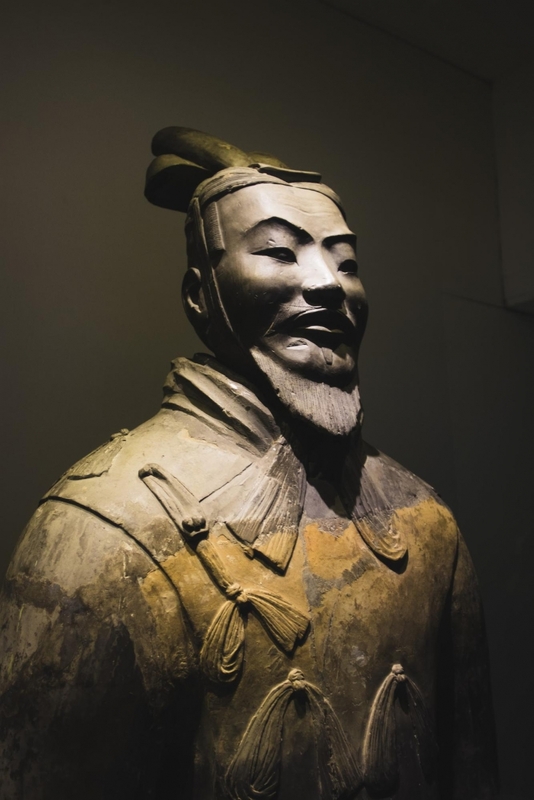 I knew nothing about Xi’an but was ready to face this enigmatic “foe”, wanting to explore and conquer unchartered territory. Without speaking a lick of Mandarin, I plunged head first into China. Upon landing in a foreign country, it is common for our stomachs to growl in anticipation for local food. Located right in the heart of the city, rests the well-known Muslim Quarter. Just a stone’s throw away from the famous Drum Tower, the Quarter is packed with delicious street snacks and countless Muslim restaurants. Locally known as Huimin Jie, this area is the hub for local Muslims in the city. Paved with dark-coloured stones, the Beiyuanmen Muslim Market is lined by buildings modelled with Ming and Qing dynasty styles. The Muslim community is a tight-knit one, where families have known each other for generations and exude great hospitality towards tourists. 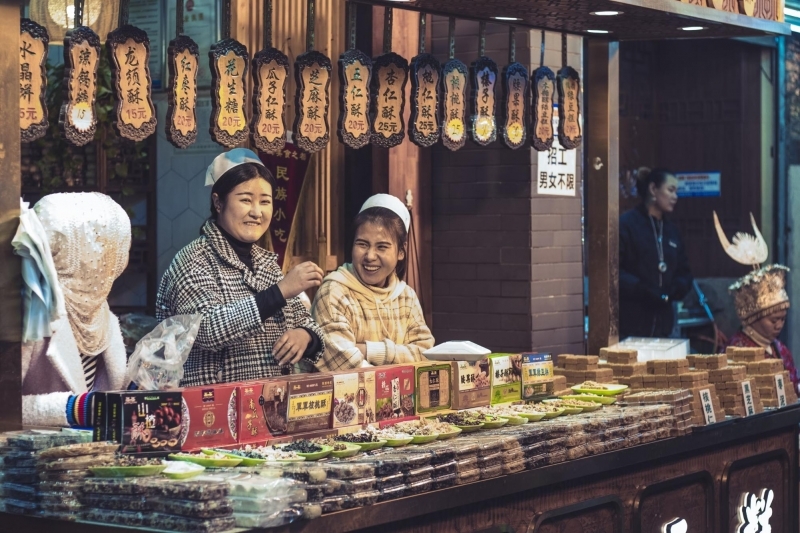 Visit this area to try out traditional Halal dishes such as Crumbled Unleavened Bread in Mutton Stew (Yangrou Paomo) and Shaanxi Sandwiches (Rou Jia Mou). Tip: Head away from the main street and into the alleys for cheaper food options that are still as delicious! Also read: Is It Still Safe to Travel to Xinjiang, China? 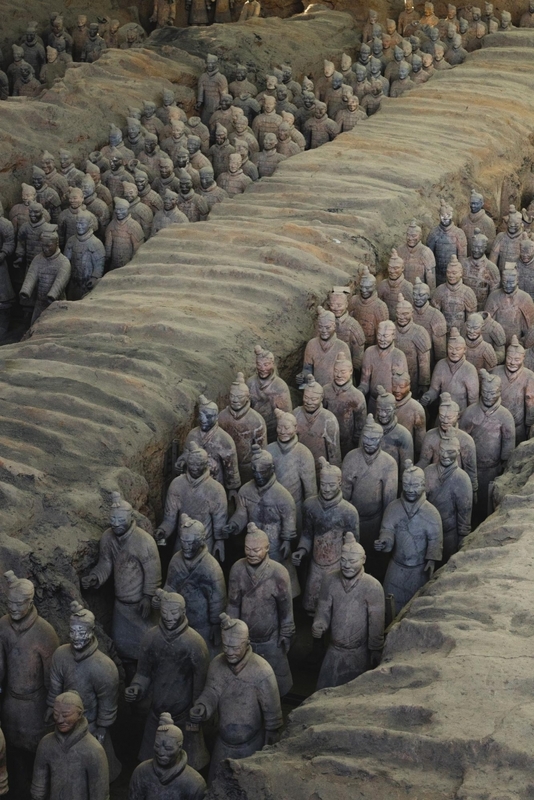 Just a 45-minute bus ride away from the city centre rests the eighth wonder of the world — The Terracotta Army. Little do tourists know that the Army sits in a pit which is surrounded by a park. It is recommended to spend two to three hours here as the area is huge and filled with loads of artefacts. The sheer scale together with the historical relevance of the army can only be described as mind-blowing. Tourists are not allowed to go up close with any of the statues from the pit, except the ones displayed in a glass box. Tip: To get here, take the public tourist bus 306 (for just 7 Yuan or S$1.40) from Xi’an main railway station, which will drop you off right at the front gate. The public tourist bus can be spotted with a conductor decked in official uniform. Beware of fake tourist buses that go to the Terracotta Army from Xi’an main railway station. You do not have to leave the city for these attractions. Placed right in the heart of the bustling city, the historical Ancient City Wall is just walking distance from the metro entrance. 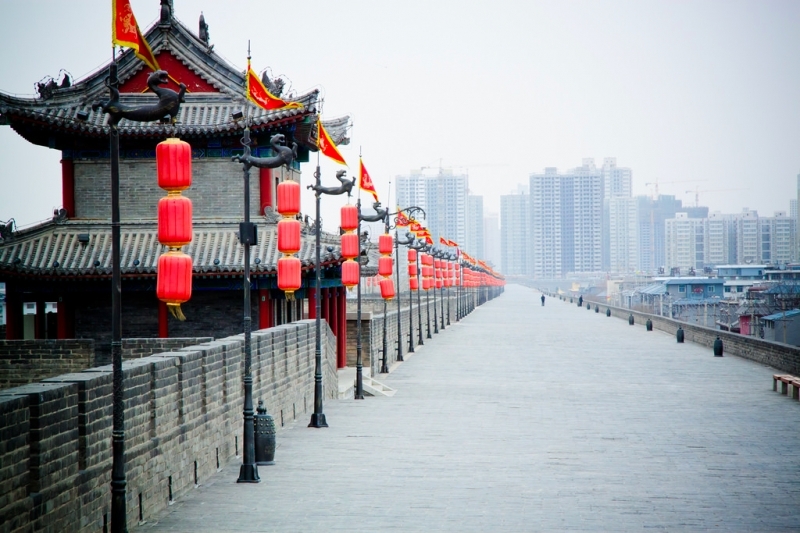 Covering 13.7 km in length and surrounded by a deep moat, this wall once fortified the city from impending invasions. Today, tourists are able to walk the whole length of the wall or even rent a bicycle for a unique experience. Tip: Enter via the South Gate for a grandeur experience as you pass through the cultural square. The iconic Bell Tower is located in the middle of city hub, encased by the Ancient City Wall. The tower marks the geographical centre of the ancient capital. Standing at 36 metres, this wooden tower was constructed in 1384, making it the largest and best-preserved of its kind in China. Enter the tower and spectacle at a 360 degrees view of the city centre. Tips: Get the joint pass for both the Drum Tower and Bell Tower and save cost! Children under the height of 1.4 metres enter for FREE when accompanied by an adult. Located in Huayin City, just a one-hour train ride away from Xi’an city, Mount Huashan is one of the five sacred mountains in China. The mountain is famous for its narrow dangerous climbs and gorgeous views. 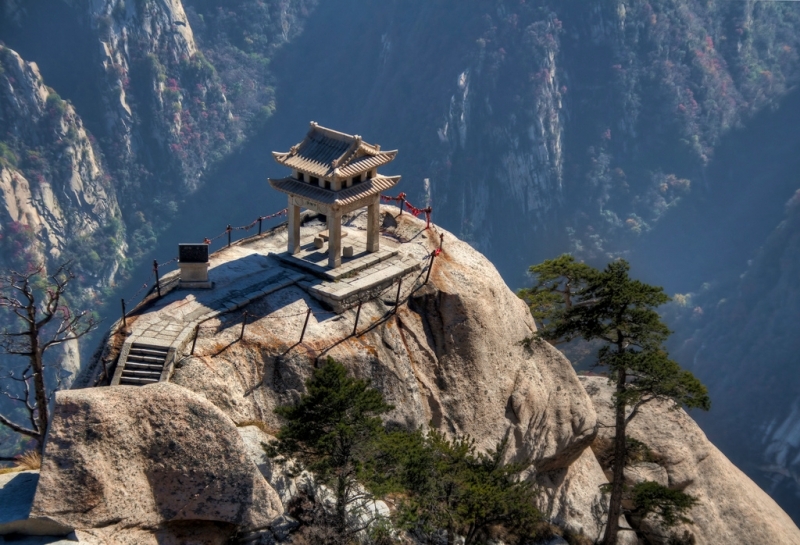 Being one of the sacred mountains, Huashan was once ascended by emperors and scholars to exercise Taoist rituals at the temples situated on the cliffs. 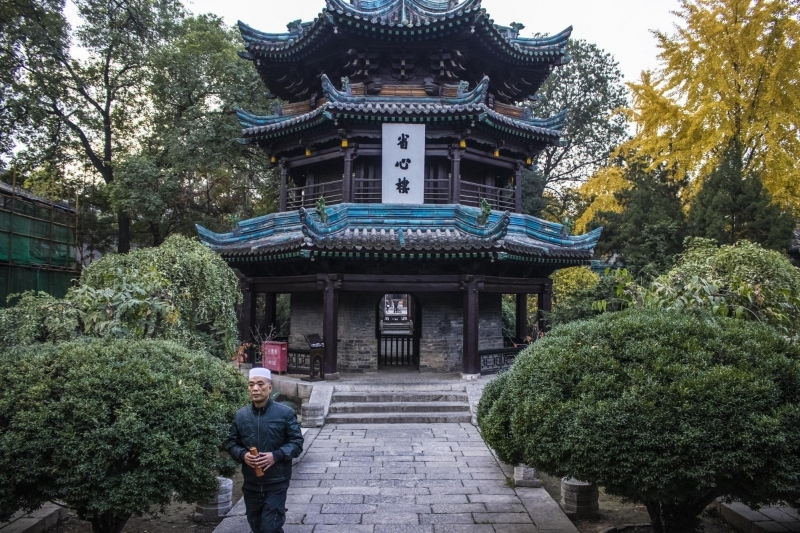 Hiking up the mountain allows for a more scenic experience, passing numerous Taoist temples and sacred sites. For an easier access to the top, there are cable car rides available which require only 10 minutes before you reach the summit! There are also accommodation options at the peak – though they may be pricey – which allow visitors to spend the night and experience a spectacular sunrise the next morning. 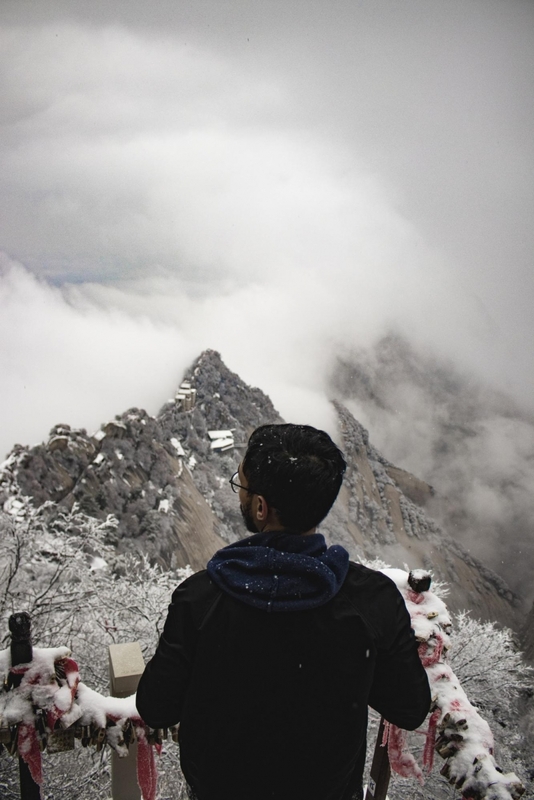 Tip: Avoid visiting Huashan during the winter seasons as the views are obstructed by the clouds and mist. Right around the corner from the Bell Tower, sits its sister the Drum Tower. Constructed in the year 1380, the drums were once used as an alarm for emergencies. 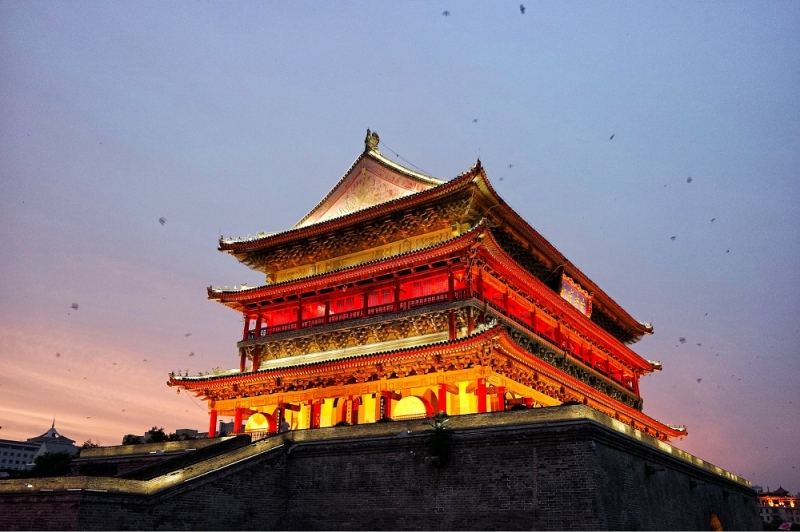 Presently, the tower holds 24 drums on the north and south sides of the tower with one being the biggest drum in China. Head up to the second floor to enjoy a unique view of the city centre, with the Bell Tower in the background. When you finish visiting the Drum Tower, do remember to enjoy the Muslim food from the Muslim Quarter just adjacent to it. Tip: The second floor of the tower provides an unrestricted view of the Bell Tower, ideal for that postcard-perfect shot. Follow the twist and turns of the Muslim Quarter’s alleys and you’ll reach the Great Mosque of Xi’an. Constructed in 742 A.D., the mosque is one of the oldest and largest in China. The mosque bears a unique design, mixing both traditional Chinese architecture with Muslim influences. Tip: Conduct your prayers in the Main Prayer Hall to view the beautiful calligraphy. Locals have a saying, “If you want to experience the long history of China, go to Xi’an,” which I personally believe to be true. 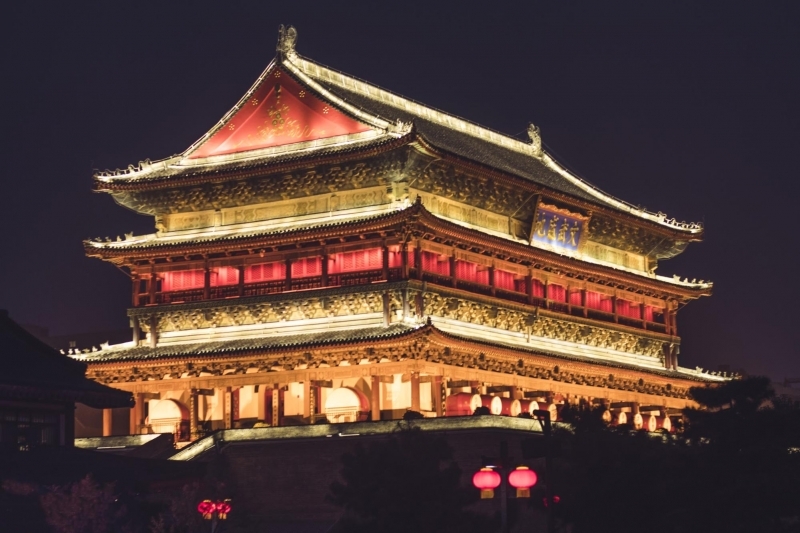 You do not have to be a historian to enjoy Xi’an, but you will definitely leave with a better understanding of the city’s incredibly rich history. You might be greeted with a huge culture shock, but the attractions, history and FOOD are absolutely worth it. Farhan sees himself to be the next Indiana Jones, discovering lost cities or forgotten civilisations. 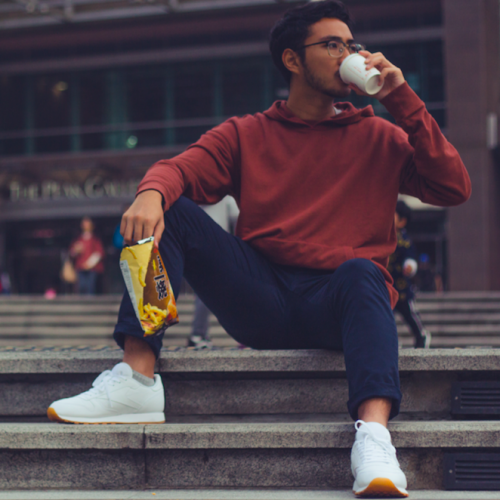 If he’s not travelling to distant places, he can be found sitting in a café with a cup of tea watching the world go by. Farhan is an advocate for trying new things, especially exotic foods. His favourites include fried crickets and cow lips.